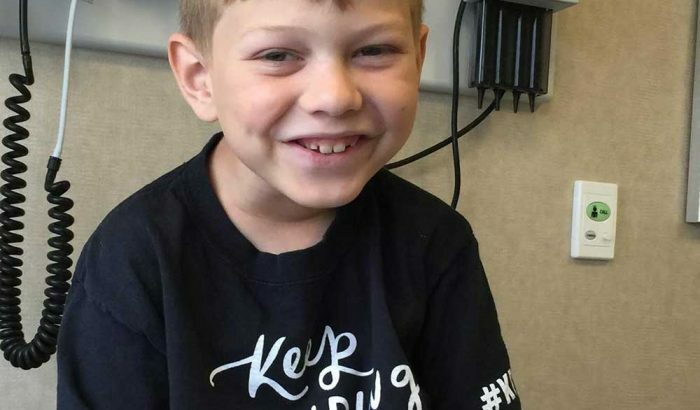 In May 2016, Parker’s wish to be a Carolina Panther football player came true. 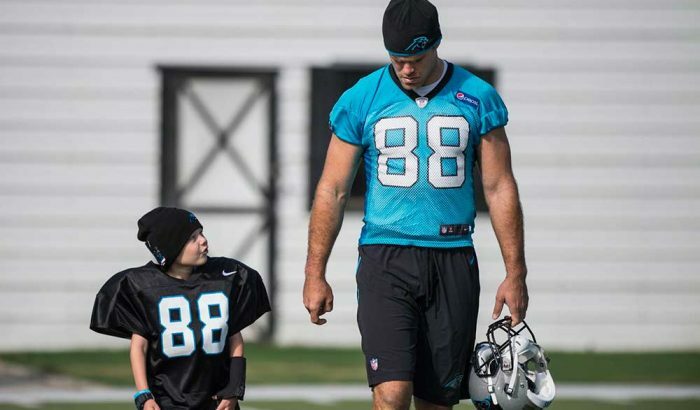 Thanks to the Carolina Panthers and the Make-A-Wish Foundation, he spent the day with tight end Greg Olsen, sporting a #88 jersey and beanie to match Olsen’s trademark warmup attire. Brain tumors are not rare. However, there is little awareness of the scope and severity of brain tumors and central nervous system tumors. Brain tumors are the most common cancer occurring among those age 0-14, and the leading cause of cancer-related deaths in children age 0-14. Thank you for your interest in volunteering with the Pounding for Parker Foundation. We appreciate your support! ©Pounding For Parker Foundation. All rights reserved.